TEDxYouth@Manchester video live: What do your digital footprints say about you? You can read more on the whole experience of being part of this event in my blog post from late November. I gather that the videos of the incredible teenage speakers and performers will follow soon. Last Wednesday, I had the absolute pleasure of being part of the TEDxYouth@Manchester 2016, which had the theme of “Identity“. I had been invited along to speak about our Managing Your Digital Footprint work, and my #CODI2016 Fringe show, If I Googled You, What Would I Find? The event was quite extraordinary and I wanted to share some thoughts on the day itself, as well as some reflections on my experience of preparing a TEDx talk. TEDxYouth@Manchester is in it’s 8th year, and is based at Fallibroome Academy, a secondary school with a specialism in performing arts (see, for instance, their elaborate and impressive trailer video for the school). And Fallibroome was apparently the first school in the world to host a TEDxYouth event. Like other TEDx events the schedule mixes invited talks, talks from youth speakers, and recorded items – in today’s case that included a TED talk, a range of short films, music videos and a quite amazing set of videos of primary school kids responding to questions on identity (beautifully edited by the Fallibroome team and featuring children from schools in the area). In my own talk – the second of the day – I asked the audience to consider the question of what their digital footprints say about them. And what they want them to say about them. 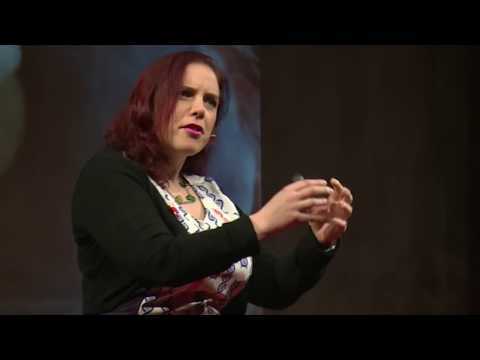 My intention was to trigger reflection and thought, to make the audience in the room – and on the livestream – think about what they share, what they share about others and,hopefully, what else they do online – their privacy settings, their choices..
Kat Arney, a geneticist, science writer, musician, and author. She was there to talk about identity from a genetic perspective, drawing on her fantastic new book “Herding Hemingway’s Cats” (my bedtime reading this week). Kat’s main message – a really important one – is that genes don’t predetermine your identity, and that any understanding of there being a “Gene for… x”, i.e. the “Gene for Cancer”, a “Gay Gene”, a gene for whatever… is misleading at best. Things are much more complicated and unpredictable than that. As part of her talk she spoke about gene “wobbles” – a new concept to me – which describes the unexpected and rule-defying behaviour of genes in the real world vs our expectations based on the theory, drawing on work on nematode worms. It was a really interesting start to the day and I highly recommend checking out both Kat’s book, and the The Naked Scientists’ Naked Gentics podcast. Ben Smith, spoke about his own very personal story and how that led to the 401 Challenge, in which he ran 401 marathons in 401 days. 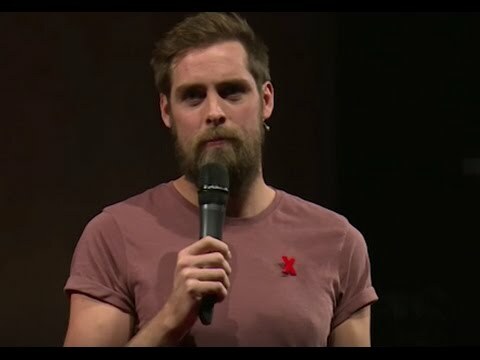 Ben spoke brilliantly and bravely on his experience of bullying, of struggling with his sexuality, and the personal crises and suicide attempts that led to him finding his own sense of self and identity, and happiness, through his passion for running in his late 20s/early 30s. Ben’s talk was even more powerful as it was preceded by an extraordinary video (see below) of the poem “To This Day” by performance poet Shane Koyczan on the impact of bullying and the strength in overcoming it. VV Brown, singer, songwriter, producer and ethical fashion entrepreneur, gave a lovely presentation on identity and black hair. She gave a personal and serious take on issues of identity and appropriation which have been explored (from another angle) in Chris Rock’s Good Hair (2009). As well as the rich culture of black hairdressing and hugely problematic nature of hair relaxants, weaves, and hair care regimes (including some extreme acids) that are focused on pressuring black women to meet an unobtainable and undesirable white hair ideal. She also spoke from her experience of the modelling industry and it’s incapability of dealing with black hair, whilst simultaneously happily engaging in cultural appropriation, braiding corn rows into white celebrities hair. V.V. followed up her talk with a live performance, of “Shift” (see video below), a song which she explained was inspired by the gay rights movement, and particularly black gay men in New York expressing themselves and their sexuality. 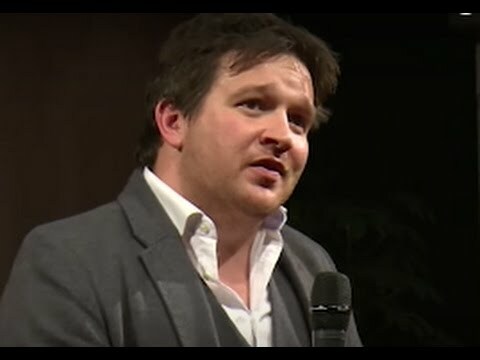 The final invited speaker was Ben Garrod, a Teaching Fellow in evolutionary biology at Anglia Ruskin University as well as a science communicator and broadcaster who has worked with David Attenborough and is on the Board of Trustees for the Jane Goodall Institute. Ben spoke about the power of the individual in a community, bringing in the idea of identity amongst animals, that the uniqueness of the chimps he worked with as part of Jane Goodall’s team. He also had us all join in a Pant-hoot – an escalating group chimp call, to illustrate the power of both the individual and the community. In amongst the speakers were a range of videos – lovely selections that I gather (and believe) a student team spent months selecting from a huge amount of TED content. However, the main strand of the programme were a group of student presentations and performances which were quite extraordinary. Highlights for me included Imogen Walsh, who spoke about the fluidity of gender and explained the importance of choice, the many forms of non-binary or genderqueer identity, the use of pronouns like they and Mx and the importance of not singling people out, or questioning them, for buying non gender-conforming, their choice of bathroom, etc. Because, well, why is it anyone else’s business? Sophie Baxter talked about being a gay teen witnessing the global response to the Pulse nightclub shooting and the fear and reassurance that wider public response to this had provided. She also highlighted the importance of having an LGBT community since for most LGBT young people their own immediate biological/adoptive family may not, no matter how supportive, have a shared experience to draw upon, to understand challenges or concerns faced. Maddie Travers and Nina Holland-Jones described a visit to Auschwitz (they had actually landed the night before the event) reflecting on what that experience of visiting the site had meant to them, and what it said about identity. They particularly focused on the pain and horror of stripping individual identity, treating camp prisoners (and victims) as a group that denied their individuality at the same time as privileging some individuals for special skills and contributions that extended their life and made them useful to the Nazi regime. Sam Amey, Nicola Smith and Ellena Wilson talked about attending the London International Youth Science Festival student science conference, of seeing inspiring new science and the excitement of that – watching as a real geek and science fan it was lovely to see their enthusiasm and to hear them state that they “identify as scientists” (that phrasing a recurrent theme and seems to be the 2016 way for youth to define themselves I think). Meanwhile performances included an absolutely haunting violin piece, Nigun by Bloch, performed by Ewan Kilpatrick (see a video of his playing here). As brilliant as Ewan’s playing was, musically the show was stolen by two precocious young composers, both of whom had the confidence of successful 40 year olds at the peak of their career, backed up by musical skills that made that confidence seem entirely appropriately founded. Ignacio Mana Mesas described his composition process and showed some of his film score (and acting) work, before playing a piece of his own composition; Tammas Slater (you can hear his prize winning work in this BBC Radio 3 clip) meanwhile showed some unexpected comic sparkle, showing off his skills before creating a composition in real time! And the event finished with a lively and charming set of tracks performed by school alumnae and up and coming band Cassia. All of the youth contributions were incredible. The enthusiasm, competence and confidence of these kids – and of their peers who respectfully engaged and listened throughout the day – was heartening. The future seems pretty safe if this is what the future is looking like – a very lovely thing to be reminded in these strange political times. For me the invitation to give a TEDx talk was really exciting. I have mixed feelings about the brilliantly engaging but often too slick TED format, at the same time as recognising the power that the brand and reputation for the high quality speakers can have. I regularly give talks and presentations, but distilling ideas of digital identity into 14 minutes whilst keeping them clear, engaging, meeting the speaker rules felt challenging. Doing that in a way that would have some sort of longevity seemed like a tougher ask as things move quickly in internet research, in social media, and in social practices online, so I wanted to make sure my talk focused on those aspects of our work that are solid and long-lived concepts – ideas that would have usefulness even if Facebook disappeared tomorrow (who knows, fake news may just make that a possibility), or SnapChat immediately lost all interest, or some new game-changing space appears tomorrow. This issue of being timely but not immediately out of date is also something we face in creating Digital Footprint MOOC content at the moment. As an intellectual challenge developing my TEDx talk was useful for finding another way to think about my own presentation and writing skills, in much the same way that taking on the 8 minute format of Bright Club has been, or the 50 ish minute format of the Cabaret of Dangerous Ideas, or indeed teaching 2+ hour seminars for the MSc in Science Communication & Public Engagement for the three years I led a module on that programme. It is always useful to rethink your topic, to think about fitting a totally different dynamic or house style, and to imagine a different audience and their needs and interests. In this case the audience was 16-18 year olds, who are a little younger than my usual audience, but who I felt sure would have lots of interest in my topic, and plenty of questions to ask (as there were in the separate panel event later in the day at Fallibroome). Because I have mixed feelings about the TED format, since it can be brilliant, but also too easy to parody (as in this brilliant faux talk), I was very aware of wanting to live up to the invitation and the expectations for this event, without giving a talk that wouldn’t meet my own personal speaking style or presentation tastes. I think I did manage that in the end but it required some watching of former videos to get my head around what I both did and did not want to do. That included looking back at previous TEDxYouth@Manchester events (to get a sense of space, scale, speaker set up and local expectations), as well as wider TED videos. I did read the TED/TEDx speaker guidance and largely followed it although, since I do a lot of talks and know what works for me, I chose to write and create slides in parallel with the visuals helping me develop my story (rather than writing first, then doing slides as the guidance suggests). I also didn’t practice my talk nearly as often as either the TED instructions or the local organisers suggest – not out of arrogance but knowing that practicing a few times to myself works well, practising a lot gets me bored of the content and sets up unhelpful memorisations of errors, developing ideas, etc. I do hugely appreciate that TED/TEDx insist on copyright cleared images. My slides were mostly images I had taken myself but I found a lovely image of yarn under CC-BY on Flickr which was included (and credited) too. Although as I began work on the talk I did start by thinking hard about whether or not to use slides… TED is a format associated with innovative slides (they were the original cheerleaders for Prezi), but at the same time the fact that talks are videoed means much of the power comes from close ups of the speaker, of capturing the connection between speaker and the live audience, and of building connection with the livestream and video audience. With all of that in mind I wanted to keep my slides simple, lively, and rather stylish. I think I managed that but see what you think of my slides [PDF]. Normally when I write a talk, presentation, workshop, etc. I think about tailoring the content to the context and to my audience. I find that is a key part of ensuring I meet my audience’s needs, but it also makes the talk looks, well, kind of cute and clever. Tailoring a talk for a particular moment in time, a specific event or day, and a particular audience means you can make timely and specific references, you can connect to talks and content elsewhere in the day, you can adapt and adlib to meet the interests and mood that you see, and you can show you have understood the context of your audience. Essentially all that tailoring helps you connect more immediately and builds a real bond. The video being during the event captured goes on the TEDxYouth@Manchester 2016 Playlist on the TEDxYouth YouTube channel and on the TEDx YouTube channel. All of the videos are also submitted to TED so, if your video looks great to the folk there you could also end up featured on the core TED website, with much wider visibility. Now, I certainly wouldn’t suggest I am counting on having a huge global audience, but those channels all attract a much wider audience than was sitting in the hall. So, where do you pitch the talk? For my talk I decided to strike a balance between issues that are most pertinent to developing identity, to managing challenges that we know from our research are particularly relevant and difficult for young people – ad which these students may face now or when they go to university. But I also pitched the talk to have relevance more widely, focusing less on cyber bullying, or teen dynamics, and more about changing contexts and the control one can choose to take of ones own digital footprint and social media content, something particularly pertinent to young people but relevant to us all. In the end I tried to again balance general and specific advice. But I did that knowing that many of those in the physical audience would also be attending a separate panel event later in the day which would allow many more opportunities to talk about very contemporary questions, and to address sensitive questions that might (and did) arise. In fact in that panel session we took questions on mental health, about how parental postings and video (including some of those made for this event) might impact on their child’s digital footprint, and on whether not being on social media was a disadvantage in life. Those at the panel session also weren’t being streamed or captured in any way, which allowed for frank discussion building on an intense and complex day. What’s the main take away? The thing that took me the longest time was thinking about the “take away” I wanted to leave the audience with. That was partly because I wanted my talk to have impact, to feel energising and hopefully somewhat inspiring, but also because the whole idea of TED is “Ideas worth sharing”, which means a TED(x) talk has to have at its core a real idea, something specific and memorable to take from those 14 minutes, something that has impact. After a lot of thinking, testing out of ideas in conversation with my partner and some of my colleagues, I had some vague concepts and then I found my best ideas came – contrary to the TED guidance – from trying to select images to help me form my narrative. An image I had taken at Edinburgh’s Hidden Door Festival earlier this year of an artwork created from a web of strung yarn proved the perfect visual analogy for the complexity involved in taking back an unintended, regretted, or ill-thought-through social media post. It’s an idea I have explained before but actually trying to think about getting the idea across quickly in 1 minute of my 14 minute talk really helped me identify that image as vivid effective shorthand. And from that I found my preceding image and, from that, the flow and the look and feel of the story I wanted to tell. It’s not always the obvious (or simple) things that get you to a place of simplicity and clarity. Finally I went back to my title and thought about whether my talk did speak to that idea, what else I should raise, and how I would really get my audience to feel engaged and ready to listen, and to really reflect on their own practice, quickly. In the end I settled on a single slide with that title, that question, at it’s heart. I made that the first stepping stone on my path through the talk, building in a pause that was intended to get the audience listening and thinking about their own digital identity. You’d have to ask the audience whether that worked or not but the quality of questions and comments later in the day certainly suggested they had taken in some of what I said and asked. As a speaker there are some logistical aspects that are easy to deal with once you’ve done it a first time: travel, accommodation, etc. There are venue details that you either ask about – filming, photography, mics, etc. or you can find out in advance. Looking at previous years’ videos helped a lot: I would get a screen behind me for slides, there would be a set (build by students no less) and clear speaker zone on stage (the infamous red carpet/dot), I’d have a head mic (a first for me, but essentially a glamorous radio mic, which I am used to) and there would be a remote for my slides. It also looked likely I’d have a clock counting down although, in the end, that wasn’t working during my talk (a reminder, again, that I need a new watch with classic stand up comedy/speaker-friendly vibrating alarm). On the day there was a sound check (very helpful) and also an extremely professional and exceptionally helpful team of technicians – staff, students and Siemens interns – to get us wired up and recorded. The organisers also gave us plenty of advance notice of filming and photography. As the organising team spend all year planning a slick event – and Fallibroome Academy really did do an incredibly well organised and slick job – they expect slick and well organised speakers. I think all of us invited speakers, each of us with a lot of experience of talks and performance, experienced more coordination, more contact and more clarity on expectation, format, etc. than at any previous speaking event. That level of detail is always useful as a a speaker but it can also be intimidating – although that is useful for focusing your thoughts too. There were conference calls in September and October to share developing presentation thoughts, to finalise titles, and to hear a little about each others talks. That last aspect was very helpful – I knew little of the detail of the other talks until the event itself, but I had a broad idea of the topic and angle of each speaker which meant I could ensure minimal overlap, and maximum impact as I understood how my talk fitted in to the wider context. All credit to Peter Rubery and the Fallibroome team for their work here. They curated a brilliant selection of videos and some phenomenal live performances and short talks from students to create a coherent programme with appropriate and clever segues that added to the power of the presentations, the talks, and took us on something of a powerful emotional rollercoaster. All of us invited speakers felt it was a speaking engagement like we’d never had before and it really was an intense and impactful day. And, as Ben G said, for some students the talks they gave today will be life changing, sharing something very personally on a pretty high profile stage, owning their personal experience and reflections in a really empowering way. In conclusion then, this was really a wonderful experience and a usefully challenging format to work in. I will update this post or add a new post with the videos of the talks as soon as they are available – you can then judge for yourself how I did. However, if you get the chance to take part in a TEDx event, particularly a TEDxYouth event I would recommend it. I would also encourage you to keep an eye on the TEDxYouth@Manchester YouTube channel for those exceptional student presentations!